Humans possess a range of navigation and orientation abilities, from the ordinary to the extraordinary. All of us must move from one location to the next, following habitual routes and avoiding getting lost. While there is more to learn about how the brain underlies our ability to navigate, neuroscience and psychology have begun to converge on some important answers. 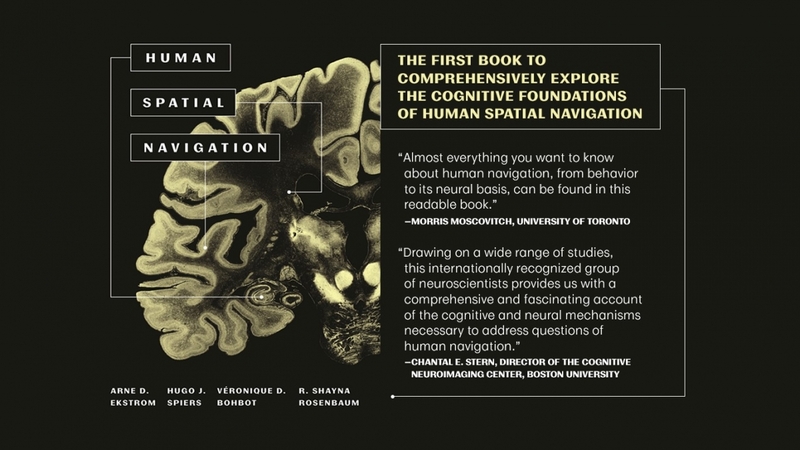 In Human Spatial Navigation, four leading expertstackle fundamental and unique issues to produce the first book-length investigation into this subject. Opening with the vivid story of Puluwat sailors who navigate in the open ocean with no mechanical aids, the authors begin by dissecting the behavioral basis of human spatial navigation. They then focus on its neural basis, describing neural recordings, brain imaging experiments, and patient studies. Recent advances give unprecedented insights into what is known about the cognitive map and the neural systems that facilitate navigation. The authors discuss how aging and diseases can impede navigation, and they introduce cutting-edge network models that show how the brain can act as a highly integrated system underlying spatial navigation. Throughout, the authors touch on fascinating examples of able navigators, from the Inuit of northern Canada to London taxi drivers, and they provide a critical lens into previous navigation research, which has primarily focused on other species, such as rodents.